Why should you consider a naming opportunity when making a gift to the Illuminating Lives campaign? Maybe you seek to be a driver for a project that can create an immediate and lasting impact on the campus landscape, or you want to create a sustainable and ongoing stream of support for our students and faculty. Perhaps you want to motivate others to join you in supporting the Illuminating Lives campaign by sharing your commitment publicly. Or it could be that you want to create a personal connection with those you have invested in, and provide them with the opportunity to say thank you. It may also be that you wish to create a philanthropic legacy, either a personal one or one that your family or a treasured friend. Whatever your motivation, the Illuminating Lives campaign provides many naming opportunities that will allow you to make your mark on the College of Saint Benedict. Full Named Scholarship Fund This is the gift that keeps on giving. A $1 million endowed gift generates enough support to annually cover the cost of tuition for a student receiving full financial aid. As funder of a full named scholarship fund, you may elect to specify certain broad preferences for the recipients of these funds (for example: majors in a particular field, first-generation students). Partial Scholarship A gift of $50,000 generates approximately $2,500 annually on an ongoing basis. As a donor to a partial named endowed fund, you may specify certain broad preferences for partial scholarship recipients as described above. Named Annual Scholarship Fund As a courtesy, donors at the Idzerda Society level and above have an opportunity to establish a named annual scholarship to directly impact Saint Ben’s students. Named annual fund donors have the ability to name their scholarships after themselves or in memory or honor of another. Academic Center To endow a newly established or existing academic center. Chair An endowed chair will support a talented professor with a track record of outstanding achievement. Directorship An endowed directorship will support a talented director with a track record of outstanding achievement. Professorship An endowed professorship will support a talented associate professor with a track record of outstanding achievement. Artist/Scholar in Residence Provides income to apply toward expenses for a visiting scholar or artist in residence. Earnings from this endowment will allow the college to benefit from talent which would otherwise be unavailable to Saint Ben’s. These residencies vary in length. Endowed Lectureship Provides income for distinguished lecturers to be brought to campus. Endowed Research Fund Income from this fund will provide financial aid to undergraduate students. Academic Department The most valuable “assets” that any institution has available for naming are for individual academic departments. These require extraordinary gifts and should be assigned on a case-by-case basis at levels that are consistent with like institutions. 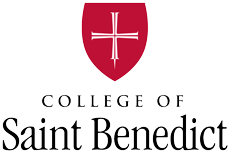 All naming opportunities are subject to the terms and conditions of the College of Saint Benedict gift acceptance and naming policies as established by its board of trustees. For more information about any of these opportunities, please contact Heather Pieper-Olson, associate vice president for institutional advancement at hpieperolso@csbsju.edu or 320-363-5964. Special projects not listed here may also be discussed on a case-by-case basis by contacting our office.